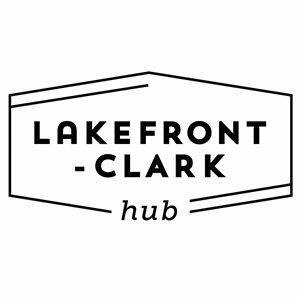 A lush, green park on the lake, museums, theatre, dining — you can spend an entire weekend in the Lakefront – Clark hub and still want more. The Lincoln Park Cultural Center, housed in a 1927 Georgian Revival-style building, offers everything from a ceramics studio to kids’ activities. 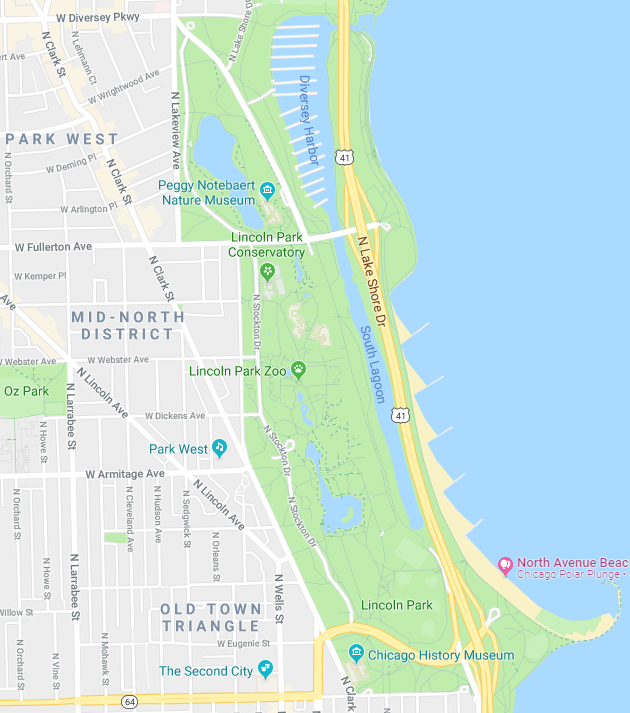 The Lincoln Park Zoo, one of the nation’s oldest, is free and open year-round (Chicago is so hardy even the zoo animals go to work in the winter). Watch productions from local theatre companies at Theater on the Lake, with Lake Michigan and the city skyline as your backdrop and then grab a bite to eat or cocktail at The Lakefront Restaurant. Two museums are a short walk from the park. 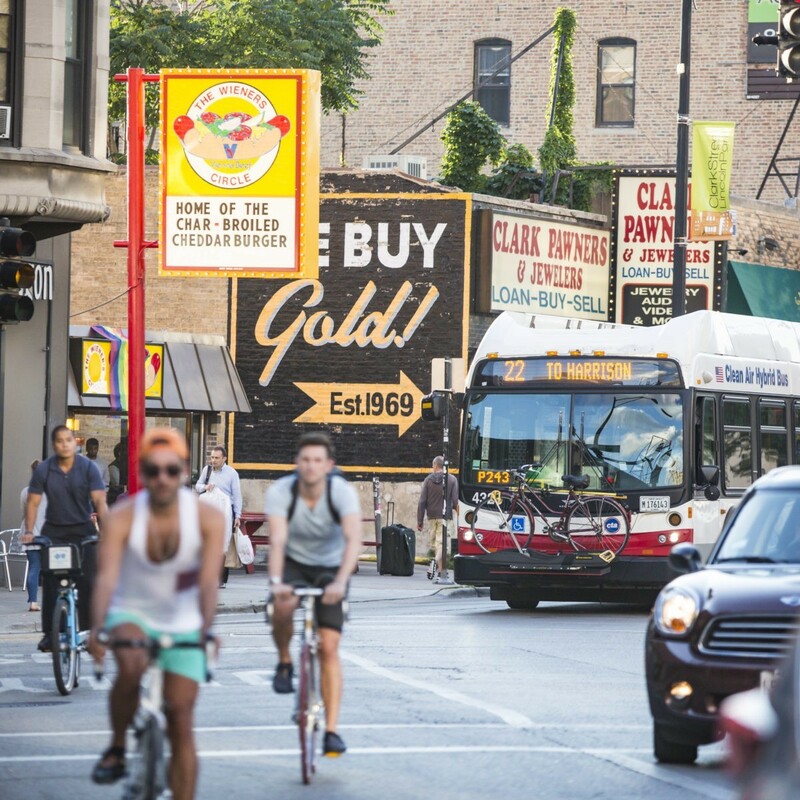 The Chicago History Museum presents an interactive narrative of the city’s history. 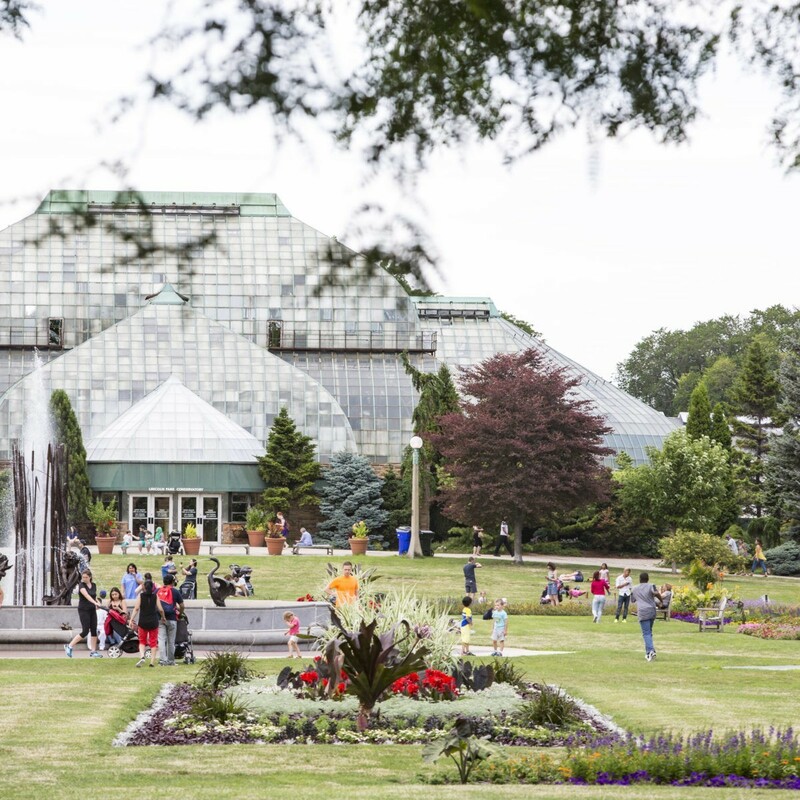 Kids flock to the Peggy Notebaert Nature Museum, but grown-ups love it, too, for its science and nature exhibits (the butterfly haven is a must-see). In the cooler months, it also hosts the Green City Market, Chicago’s largest sustainable farmer’s market. When it’s warm, you can find the market open-air inside Lincoln Park.